Learn how Food Services at Wilderness Edge delivers exceptional experiences at every event. Our simple, made from scratch buffet offers tasty, tender and abundantly flavorful meals. 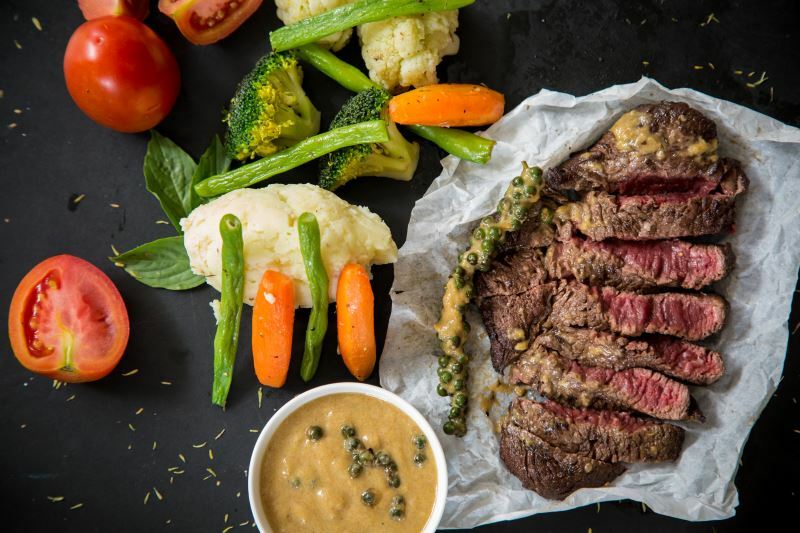 Wilderness Edge, located in Whiteshell Provincial Park, Pinawa, Manitoba is proud to serve our famed, special order Steak evenings, offering a unique communal dining experience. For those who book into our Wilderness Edge group meal & lodging package, they have access to our catered meals services. Breakfast, lunch, supper and night snack are buffet style and the times are flexible to your group’s agenda. If you are booked in with an individual room just make an inquiry at the time of booking as to what meal services will be available during your stay. Our main dining area seats up to 165 and with our connected overflow area, we can seat 225. With staggered meal times, our largest groups accommodated are 350 people. Meals are often staggered to ensure plenty of seating and to reduce traffic at the buffet. Our breakfasts always feature items like freshly cut up fruits, yogurts, fresh baking and various hot, cold and traditional breakfast food choices. Beverages include juices, milk and various other beverages choices such as tea, punch, coffee, cocoa, and ice water. 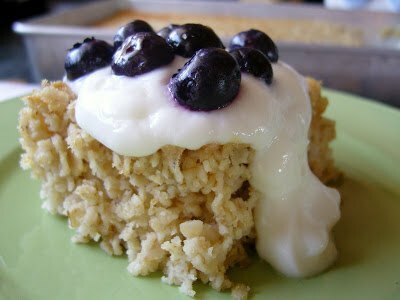 Link to a review of our famous baked oatmeal. Our buffet lunches include a salad bar, soup, fresh bread, two main dishes and two side dishes and on occasion additional complementing salads. Examples of various main dishes served throughout your stay might include a rich homemade Lasagna, Teriyaki pork, Turkey Enchiladas, Perogies with Farmer or Garlic Sausage, BBQ baby back ribs, Fettuccine Alfredo and various side dishes may include freshly cut vegetable stir-fry, coconut rice, Texas potatoes and 7 bean marinated salad. Our Supper Buffet is the pinnacle of your dining experience at the Edge. Featuring the chef’s choice of two prime types of meat (Pork, Beef, Turkey, Chicken, Fish) followed by complementing side dishes. Our desserts are always the finishing touch to an enjoyable and relaxed start to your evening. 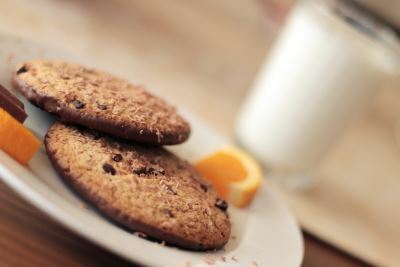 But remember to leave at least a little room, because our freshly baked night snack is just around the corner! A fresh fruit basket is always out and we serve cookies every evening and keep a cookie jar out for cookie breaks during the day. If you have any allergies or special diet requirements please provide the details in writing to your group leader so that it is included in the booking registration to us. Please be sure to include your name, email address and phone number so that our kitchen staff can contact you if they have questions or a menu they would like to present for your approval. For those wanting vegan or vegetarian meal services, we can provide food that delights every palate. Simply talk with your assigned Event Expert and fill in the details on the PDF group booking form a few days prior to your arrival. 1. If you’re a group and would like to consider us for a group event — to dramatically improve your retreat, conference or gathering experience and build stronger human connections (like we did for all those groups) – then let’s start by giving you our “Discover The Top 10 Reasons Why Groups Come to Wilderness Edge“. 2. If you’d like to enjoy a personal retreat, go to our “Things to Do” page” or “Guest Rooms” page, and start creating an agenda of what your personal wellness retreat will look like when staying with us.